This is one of my favorite Hero Arts sets. I made my sons bday card with this set. Love your little glittered fish. CUTE!! Love the glittery fish! The fish and the gorgeous Bold black sentiment! Super!!! Super cute and such a fun design!! So glittery and sooo fishy!!hehe! Superb card !! great idea ! love it all ! too cute! 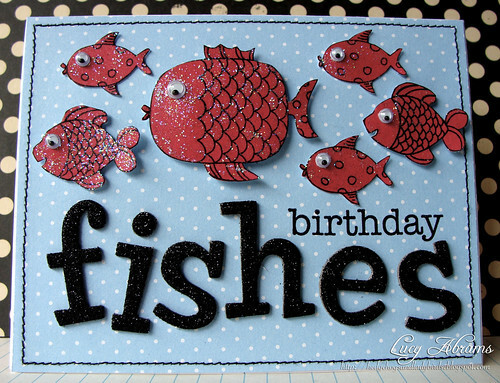 love all the glittery fish!